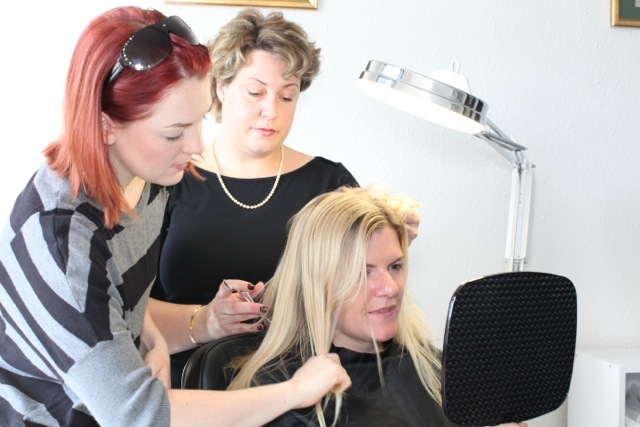 The reader may be aware of Sussex Trichology supporting a few local charities within the profession. As a part of our support, we arranged a hair donation to the Little Princess Trust which was featured on Mid Sussex Times weekly newspaper. Here is the article about our initiative. 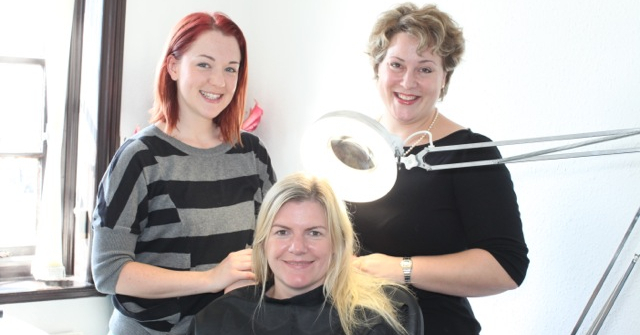 It was a win win situation when 38 year old working mum Clare Jones contacted Shuna Hammocks, consultant at Sussex Trichology, worried about the ‘behaviour of her hair’. After an examination at the Sussex Trichology at the Priory off Franklynn Road, Haywards Heath, Shuna suggested that cutting off the length of her hair was the best option. Shuna said: “Clare had hair that measured 27cm from root to tip, damaged from insufficient sun protection, too high heat from her hair dryer and straightening irons. The result was very porous hair, some split ends but more importantly, lack of elasticity. 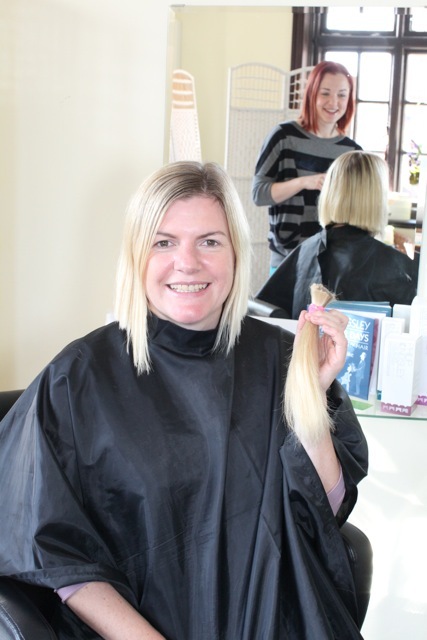 Being a keen supporter of the charity Little Princess Trust, which provides free wigs to children who suffer hair loss, Shuna recommended to Clare the option of donating her hair. 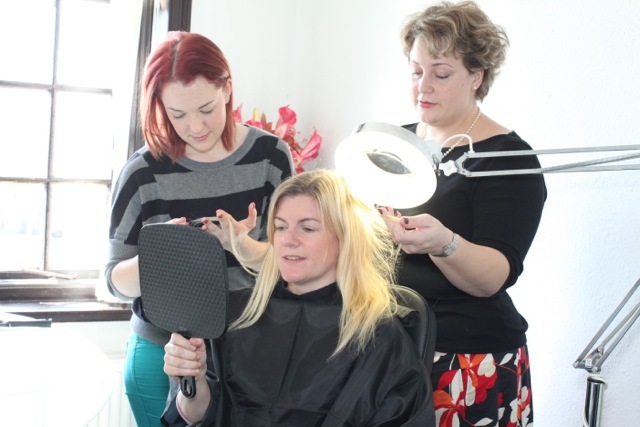 The idea appealed so colleague and hairstylist Amy Packer carried out the procedure of cutting the hair as per the detailed but simple guidelines specified by the Little Princess Trust. 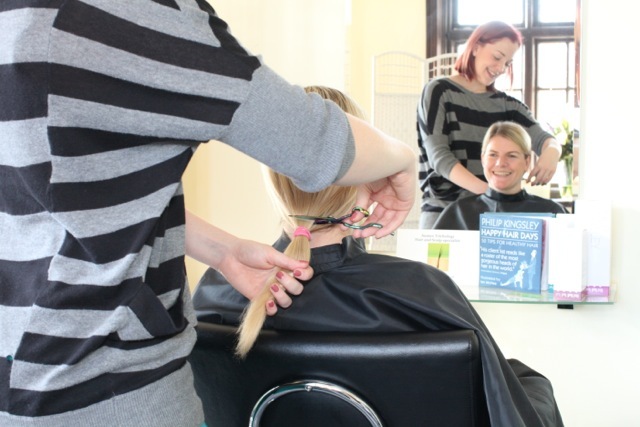 The trust’s charity manager Monica Glass wrote back saying: “On behalf of everyone connected with the Little Princess Trust, I would like to thank Clare sincerely for her recent kind hair donation. Since its inception in 2006, the trust has helped over 1,200 boys and girls who have needed a head of new hair. Donated hair that is deemed suitable is sent to a specialist factory in China and the trust receives in return a large number of children’s wigs which are then provided free of charge to children in need. A large number of the youngsters are those who suffer hair loss through cancer treatment and conditions such as alopecia with the accompanying trauma. The wigs, which are manufactured in particularly small sizes, would normally cost up to £2,000 each. Shuna, who is a member of the Institute of Trichologists and of the Society of Cosmetic Scientists, said Clare was thrilled that her otherwise “useless bunch of hair” could now being transformed into something so precious and life-changing for a child struggling through the trauma of hairloss. The Mid Sussex Times is a longstanding local paper servicing the people of East to West Sussex. The paper known as ” The Middy” is a popular choice of local schools to advertise open days and charity events. This paper has a following of its weekly distribution and it’s associated papers, who support the broad range of stories covered and in turn also happy to cover and support local businesses.